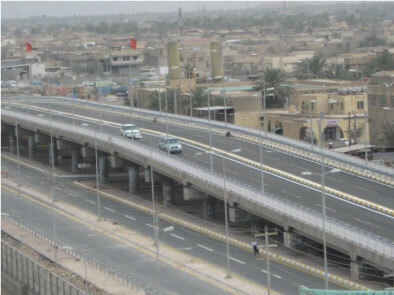 THEFAF ALRAFIDAIN Co. has been awarded the contract by Babel Province. The project is located in the city center of Hilla City of about 400 meters long. 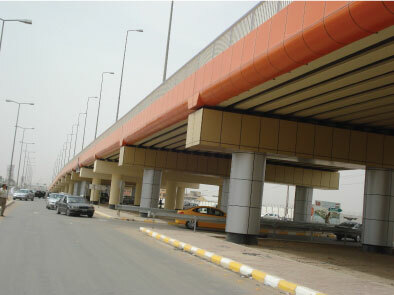 Constructing this bridge resulted in reducing the trafﬁc jam because of the heavy trafﬁc in the region. The work included soil investigation and excavation works for pile foundation, which was casted in, situ with reinforced pile caps with columns and cross beams. It also included supplying and installing precast pre-stressed concrete girders, casting in situ the deck slab, paving the surface using asphaltic pavement as speciﬁed in the required speciﬁcations.